We’re offering the opportunity to hunt in various hunting concessions in Zimbabwe with the best local outfitters. Despite its political problems in the past years Zimbabwe remains one of the best hunting destinations in Africa. The problem consists in choosing reliable, non-improvised, outfitters, who have been acknowledged on the market for a long time and we have chosen those for you. Elephant hunts are done by stalking, tracking after a single male or tracking a whole herd, in case a tuskless elephant is hunted. Trophies between 40 – 50 pounds can be realistically expected, up to 60 with a bit of luck. 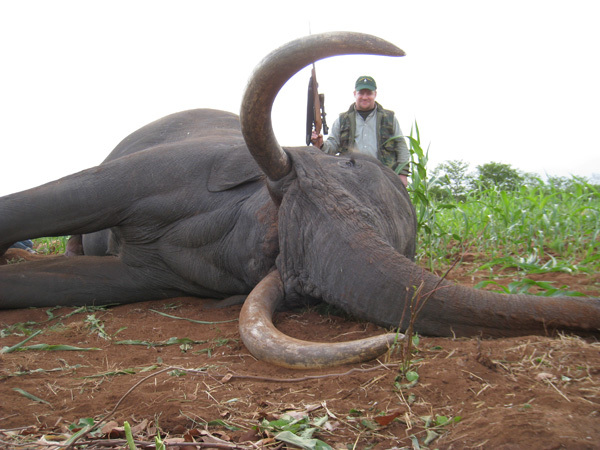 Tuskless elephants are hunted mainly in the Zambezi Valley. 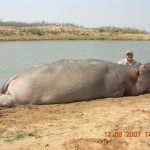 Accommodation and organization of the hunt are the best in all Zimbabwe. Hunting organization, services of a professional hunter, use of an offroad vehicle during the hunt, lodging and full board in the camp, services of all required staff, daily laundry service. 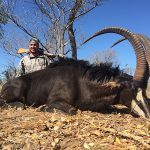 Transfer from the closest airport to the hunting ground by car USD 650 (charter flight prices upon request), 2% fee on daily rates and 4% fee on trophy fees, dipping & packing, CITES permits, anti-poaching fee USD 270 per person, trophy fees, tips, drinks and personal extras.